NEED AN ELECTRICIAN IN MELBOURNE ? Offering the highest standard of work at a competitive price, we pride ourselves on setting the industry standard and being on top of the most innovative and energy efficient solutions available today. 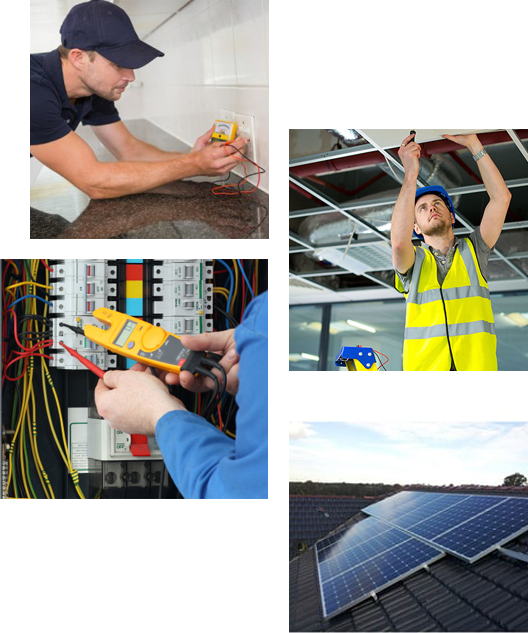 All electrical work carried out by our Melbourne Electricians at M.J.Harris Electrical is conducted by a qualified and licensed electrician, working to Australian standards. At M.J.Harris Electrical no job is too big or too small, no matter where you are in Melbourne, we can service your residential electrical requirements. We do everything, from a full residential rewire to changing a hard to reach light bulb. No matter what type of business you are in, with our qualified team, we can offer you a service above and beyond your expectations. From Medical facilities to Factories and everything in between. We can suggest solutions and draw up plans, showing the best way to illuminate areas of your home to the greatest effect. We can advise you how to cut your bills by inspecting your home or business and providing you with an Energy Efficiency Report. M.J.Harris Electrical is part of the M.J.Harris Group, a building and renovating company that can take your property from start to finish. With carpenters, builders, electricians, plumbers, painters, and designers, we cover off everything you need when it comes to building and renovating. If you’re looking to have electrical work done at your home or business, consider M.J.Harris Electrical. Offering the highest standard of work at a competitive price, we pride ourselves on setting the industry standard and being on top of the most innovative and energy efficient solutions available today. HARD WORKING. ALWAYS ON TIME. At M.J.Harris Electrical, we service all of Melbourne and recognise the importance of completing all jobs on time and to the highest standard. We believe that providing our customers with the highest quality of service and the finished product is the most important aspect of our job. We offer full workmanship warranties on all of our jobs. All electrical work carried out by our Electricians at M.J.Harris Electrical is conducted by a qualified and licensed electrician, working to Australian standards. Thanks, Shane, so glad I found you via MJ Harris Carpentry. It was so much easier dealing with someone who knew the proposed plans for my bathroom renovation and deck extension, rather than having to go over details again and again with an outside contractor. Your tips on where to place the lighting on my deck were spot on, it’s made such a difference and helping select the right IXL light/fan for my bathroom from the choices available made my decision so much easier. I couldn’t be more happy with how things turned out. Had three ceiling fans installed, great service was provided at very reasonable cost. Very happy with the outcome, will definitely use M J Harris Electrical again and happy to recommend to others. and we will get back to you within the day.